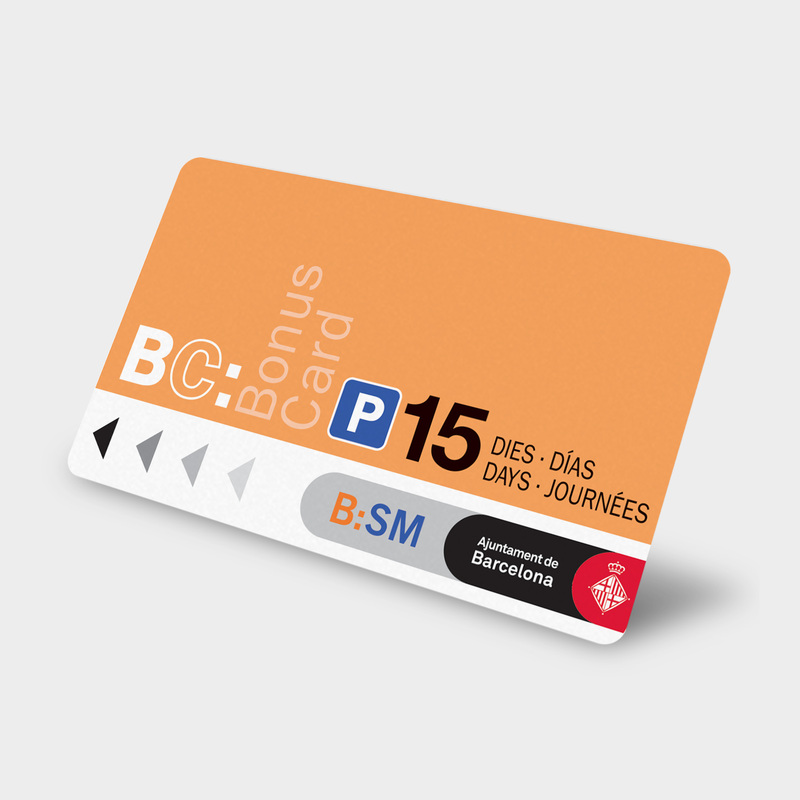 With the B:SM Bonus Card-15d you can enjoy parking in Barcelona during 15 days (360 consecutive hours) at the selected B:SM Parking Network. In addition, you can come in and out as many times as you want. Time will start counting when you make the first entrance into car park. 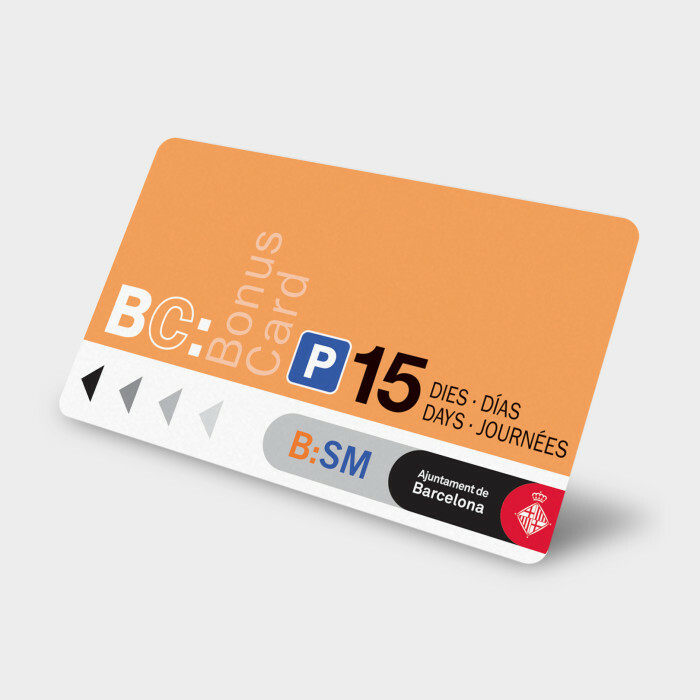 If you need to extend your stay, you will only have to pay the excess time according to regular fare. 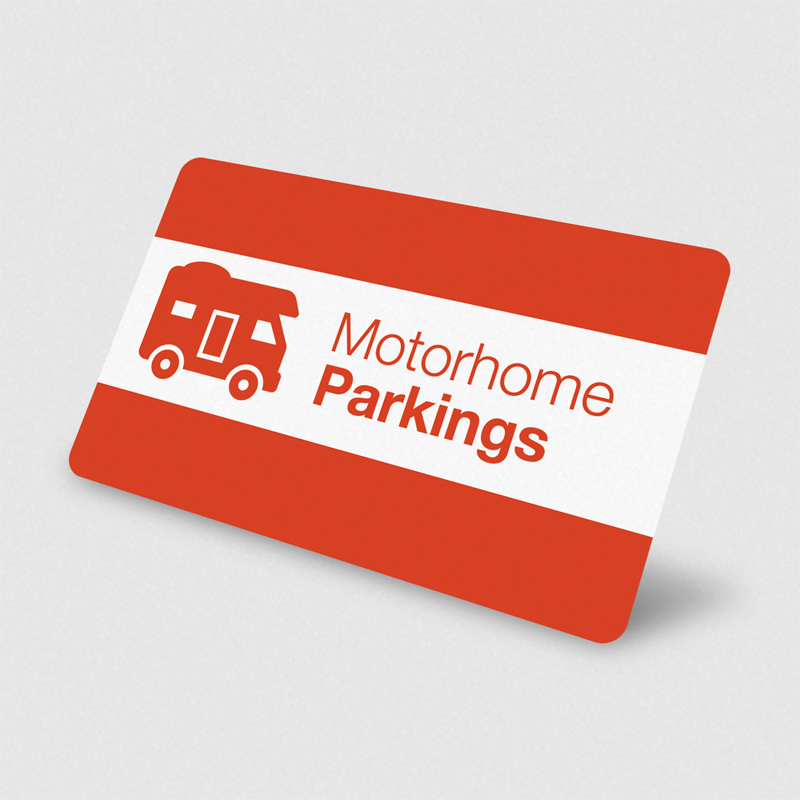 (This card is valid only for cars). 2. Approach to the control cabin with the receipt and the ticket you've collected, the B:SM employee will check your reservation using the locator and will give you the card that will allow multiple inputs and outputs. 3. If there isn't staff in the control booth, do not worry: Use the intercom located in the control cabin or at the exit barrier to contact the B:SM Remote Control Center and follows the same process described above. 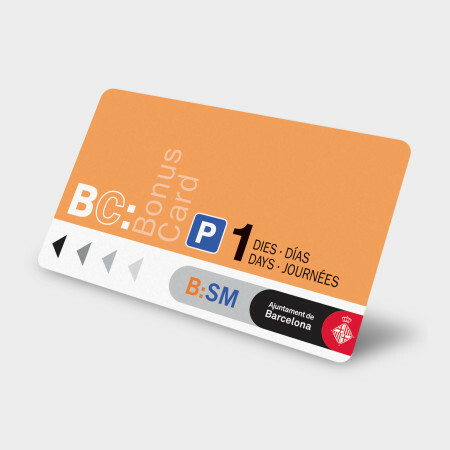 With the B:SM Bonus Card you can enjoy during one day (24 consecutive hours), at the selected B:SM Car Park.